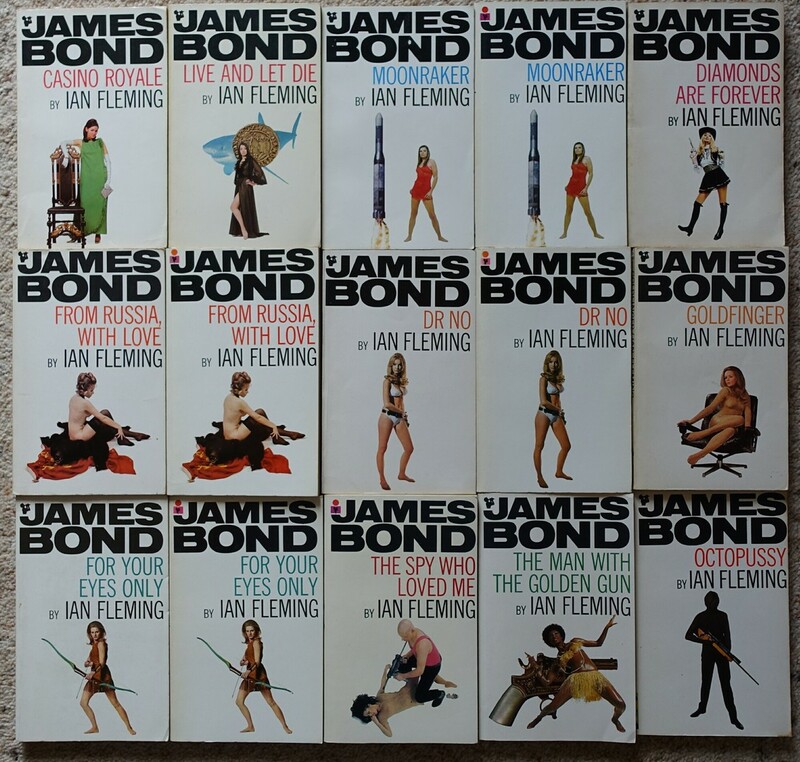 This striking series of covers was first released in 1969 and feature actors dressed as characters from the novels against a white background. Some collectors refer to them as the white series and others as the model series (both for obvious reasons). 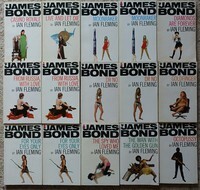 They retain the large “James Bond” title at the top of the front cover as first seen on the Hawkey series. 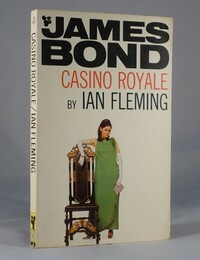 Some titles had only one printing and as a consequence they are far less common than the earlier cover designs. The white backgrounds tend to mark and the spines fade in sunlight so it is a challenge collect a set in fine condition. The assumed reason for not publishing these titles is that they had excess stocks of the Movie Tie In versions of the book. These three titles when published in the Still Life series were a mix of pages printed in the 1960s and covers from 1972 supporting the argument that they had excess stock to use up. 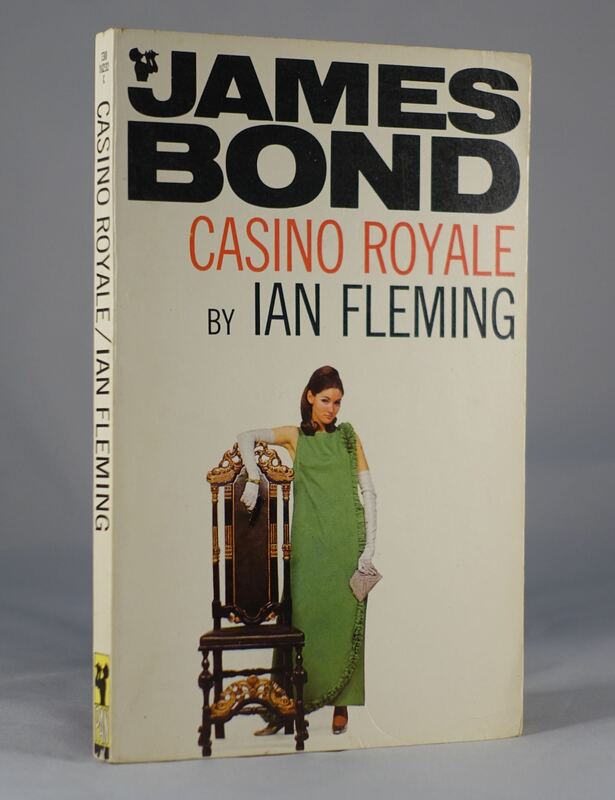 Copies bound in 1969 have the code “A” at the bottom of the spine, this is code for 4’ price (20p in “new money”). By 1970 this had changed to “M” to signify 5’ (25p). 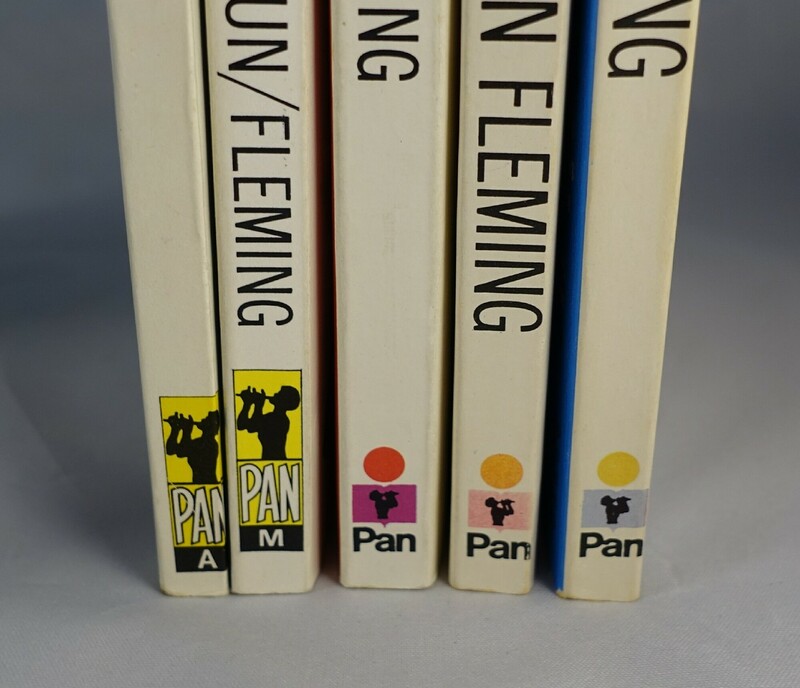 By 1971 Pan had stopped putting the price code on the spine and have changed to a color Pan logo both on the spine and the cover. This leads to several of the titles being available with slightly different covers - another challenge for the collector. 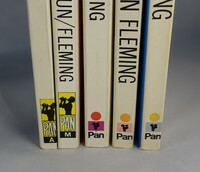 The later Pan logos on the spine should have a red dot with a purple box around the Pan logo. Invariably the red dots fade in the sun to orange or yellow and the purple box fades to blue (see photo). For a complete guide to the different printings and price variants view the Pan Model / White series in the gallery. See if you can spot the printing mistake….